For those who are putting together their Hogwarts uniforms and looking for cheap/accessible alternatives to Wizard Ties, try checking out the Men's Accessories section in the department store. I also found a plain maroon tie in the neighboring rack just in case some of you might want to go DIY and paint yellow stripes on them. The price range is P245 t0 P450. If you guys find ties that may resemble Hogwarts ties, please post details here. Thanks for this, Jovan. I'm awarding 5 points to Slytherin for your efforts. Please take note. if i may add prof. sky. those who are still looking for their vests, SM Department Stores as well are selling those ranging from 350 to 599. The 599 do have some sizes. oooh, i bought that Gryffie look a like tie during the toy con...it's ok naman. it's really hard to find the right tie. 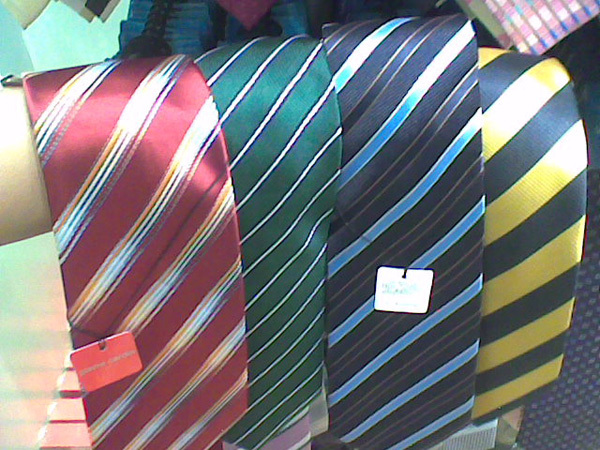 I'll check other places na rin for ties. Baka sa SM sa probinsya meron hahaha. You're welcome! 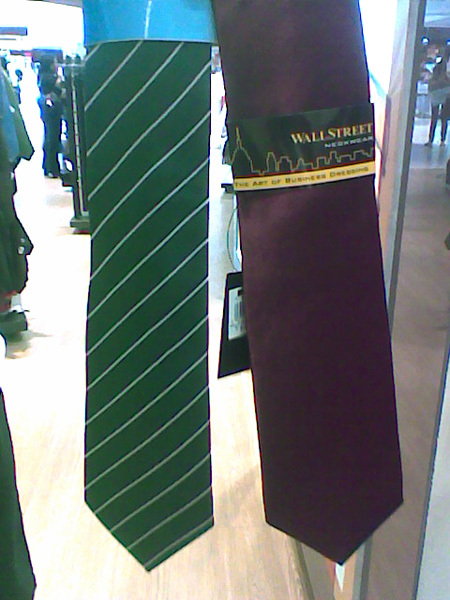 The green one in the photo is my current tie. Alex, if you want to check out the robes, there are numerous photos of the uniforms [and your housemates, too, haha] in our official multiply site.